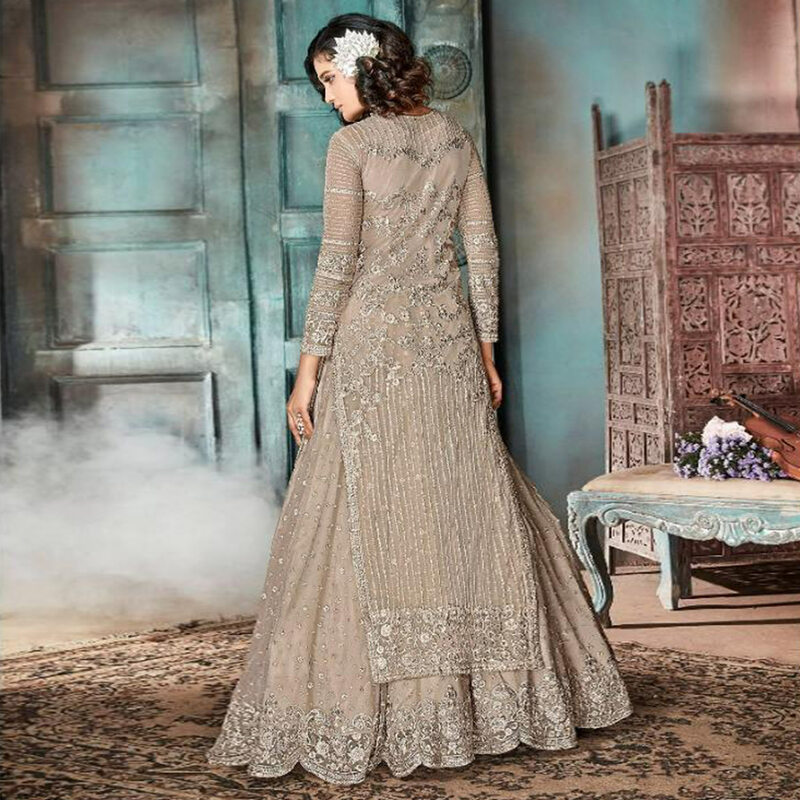 Design and pattern will be on the peak of your beauty once you attire this innovative dark beige colored lehenga suit. 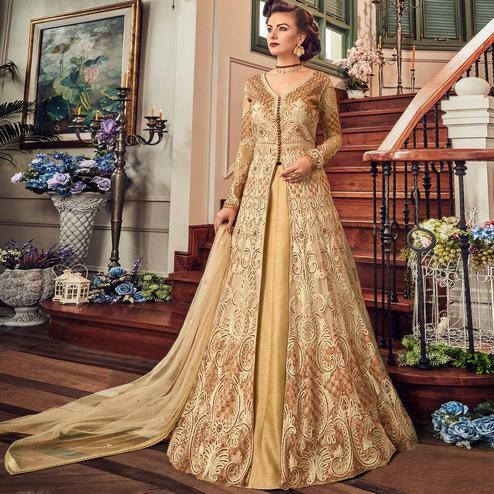 The top is made of heavy net, heavy japan satin lining, heavy net bottom and chiffon dupatta. You can flaunt your style by getting this semi-stitched suit stitched into an palazzo or a lehenga as per your requirement and occasion where you want to be in limelight. Top beautified with floral embroidered work which makes it appear classy. Women can buy this suit to wear for their upcoming functions, festivals, wedding functions or engagement ceremonies and occasions, where you want to be center of attraction. Team it with stylish accessories to make your looks more beautiful. This attractive suit will surely fetch you compliments for your rich sense of style. Note:- The actual product may differ slightly in color and design from the one illustrated in the images.